Posted on Tuesday, December 27th, 2016 at 11:54 am. Explore the beautiful Grove City library, which opened its doors this fall. The early literacy area, Harper’s Grove, is full of interactive activities and, of course, tons of children’s books. Older kids and teens can play video games in the youth services area, and the whole family can enjoy quiet reading time in the Women’s Civic Club Quiet Reading Room, complete with a cozy fireplace. The library hosts plenty of events, including a Winter Break Movie Series. Refreshing. Sitting here doing nothing. Enjoying the view and the sounds of the traffic on Broadway. This new library is the best. On those snowy winter days, you can’t go wrong with the family favorite activity–sledding! Some of the more popular sledding hills can be found at Fryer Park, Battelle Darby Creek Metro Park, and Scioto Grove Metro Park. There are public restrooms nearby at all of the parks. Museums are great for when the weather is particularly gloomy. 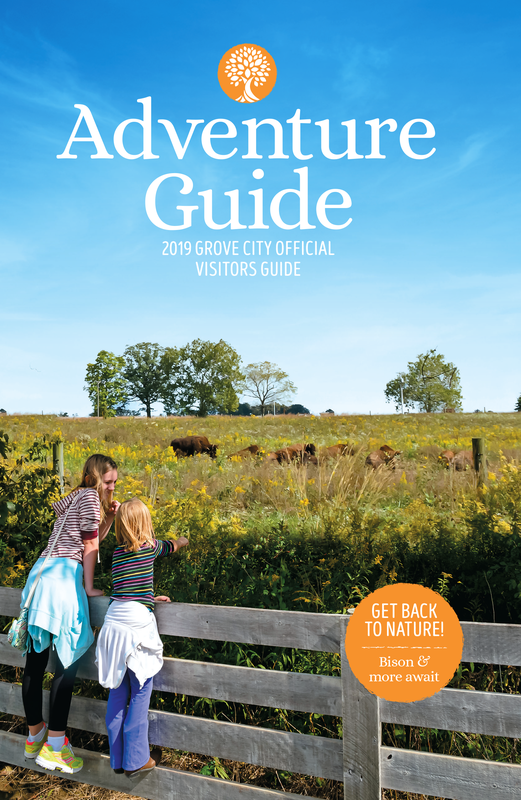 The charming Grove City Welcome Center & Museum will delight you and the kids with historic artifacts, exhibits, and endless stories from the friendly staff. If you have some time to spare, head over to Coffee Break Pottery to embrace your inner creativity and paint a ceramic piece. This is a really fun activity for elementary school aged kids and older. For those days when everyone has some extra energy to burn, head to Big Bounce, an indoor trampoline park. They have open jump times, including times set aside specifically for preschoolers and toddlers. There are also fitness classes for grown-ups and kids, so the whole family can get fit while having fun! Curling up with a book is one of the best ways to spend a winter day. Pick up a few new reads at Read It Again Books & Gifts, which is filled with gently used books from all genres. Then, stop by Jolly Pirate Donuts for a delicious confection and hot cocoa. Homeschoolers! Check out our homeschool closet! Tons of science and biography supplementals! What are your favorite kid-friendly winter activities in Grove City? Share in the comments below or on social media using #seethegrove!